Is a DUI Permanent on My Record? - Crooks, Low & Connell, S.C.
Is a DUI Permanent on My Record? Driving Under the Influence (DUI) carries many immediate consequences, including penalties such as driver’s license suspension, fines, probation, jail time, ignition interlock device installation, drug and alcohol classes, or an alcohol home monitoring unit. But there are long-term consequences, as well, and one of those is the effect of the offense on your driving and criminal records. You might think you’re safe if this is your first DUI charge. However, even a first-time DUI offense could have a huge impact on your driving record, whether or not you’ve previously had a clean driving record. You may no longer be employable as a driver, and if you’re currently employed in a job that requires driving, you may soon find yourself back on the job market. Your DUI offense will classify you as a high-risk driver, so even after you get your driver’s license back, you’ll have to obtain a special type of auto insurance in order to drive again. This may even involve switching providers. You could find yourself paying two to three times more for insurance, even years after your offense. As you can see, whether it’s your first DUI or one of many, you could face serious consequences. If your DUI offense is a felony, it will stay on your criminal record. 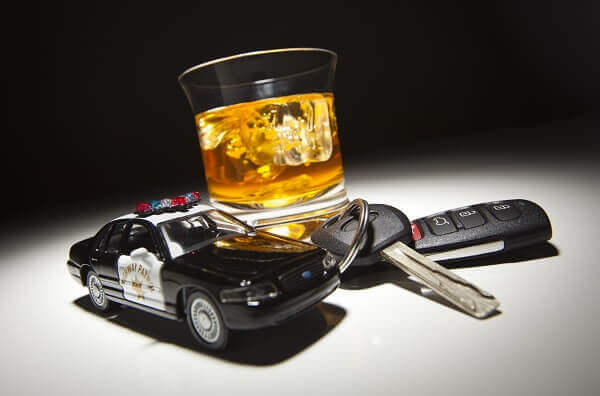 A felony DUI typically occurs after having prior DUI convictions. Child endangerment and bodily injury are also factors that could make your DUI a felony. In many states, even a misdemeanor DUI charge will remain on your record; you may not be able to get it expunged, no matter how long ago the offense occurred. This could affect your ability to obtain employment, volunteer, vote, obtain a passport, purchase a firearm, or apply for federal government assistance. Unfortunately, many people think once they’ve made a mistake like driving under the influence, that they have no choice but to accept the consequences. However, you might have more options than you think. An experienced DUI attorney at Crooks, Low & Connell, S.C. may be able to help you defend yourself against the charge, get lesser penalties, or get the charges dismissed altogether. If you have received a DUI charge in Wisconsin, our experienced lawyers can help you navigate the process for the best possible outcome. A DUI charge comes with serious penalties that can affect you forever. To schedule a consultation with one of our attorneys, call our offices in Wausau, WI at (715) 842-2291 or complete our online contact form today.